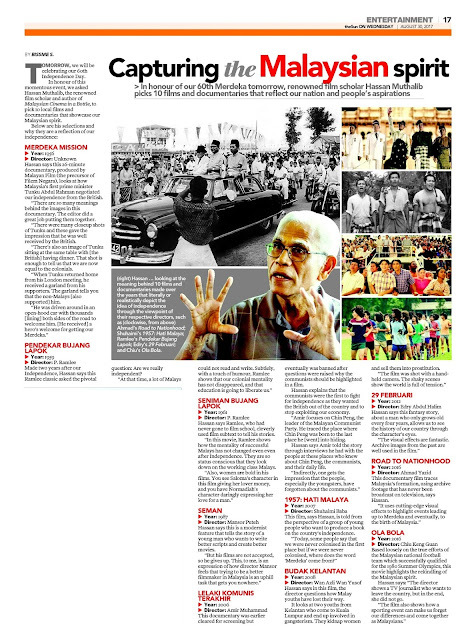 Aug 31, tomorrow, Malaysia will be 60. theSun got a film scholar and best selling author Malaysian Cinema in a Bottle to select 10 films and documentary that showcase the history of our country. Hassan says this 26-minute documentary, produced by Malayan Film (the precursor of Filem Negara), looks at how Malaysia’s first prime minister Tunku Abdul Rahman negotiated our independence from the British. “There are so many meanings behind the images in this documentary. The editor did a great job putting them together. There were many closeup shots of Tunku and these gave the impression that he was well received by the British. “There’s also an image of Tunku sitting at the same table with [the British] having dinner. That shot is enough to tell us that we are now equal to the colonials. 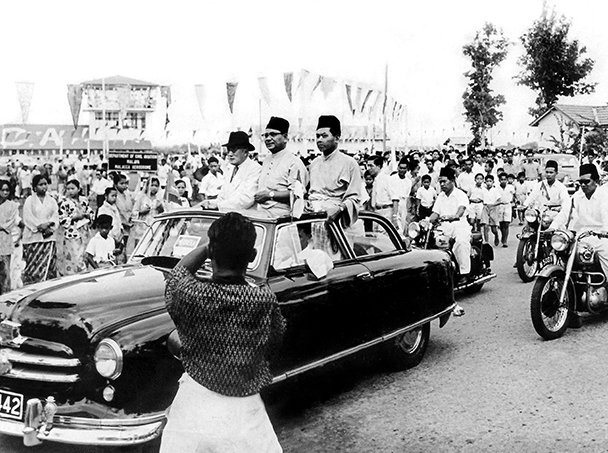 “When Tunku returned home from his London meeting, he received a garland from his supporters. The garland tells you that the non-Malays [also supported] him. Hassan says Ramlee, who had never gone to film school, cleverly used film subtext to tell his stories. “In this movie, Ramlee shows how the mentality of successful Malays has not changed even even after Independence. They are so status conscious that they look down on the working class Malays. character daringly expressing her love for a man." movies. But his films are not accepted, so he gives up. This, to me, is an expression of how director Mansor feels that trying to be a better filmmaker in Malaysia is an uphill task that gets you nowhere. This documentary was earlier cleared for screening but eventually was banned after questions were raised why the communists should be highlighted in a film. Hassan explains that the communists were the first to fight for independence as they wanted the British out of the country and to stop exploiting our economy. “Amir focuses on Chin Peng, the leader of the Malayan Communist Party. He traced the place where Chin Peng was born to the last place he [went] into hiding. Hassan says Amir told the story through interviews he had with the people at these places who knew about Chin Peng, the communists, and their daily life. 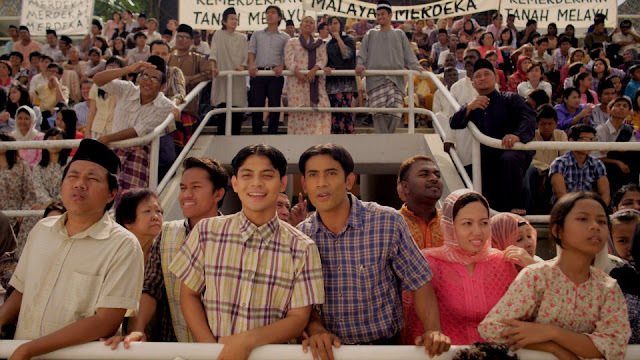 Hassan says in this film, the director questions how Malay youths have lost their way. It looks at two youths from Kelantan who come to Kuala Lumpur and end up involved in gangsterism. They kidnap women and sell them into prostitution. the history of our country through the character’s eyes. 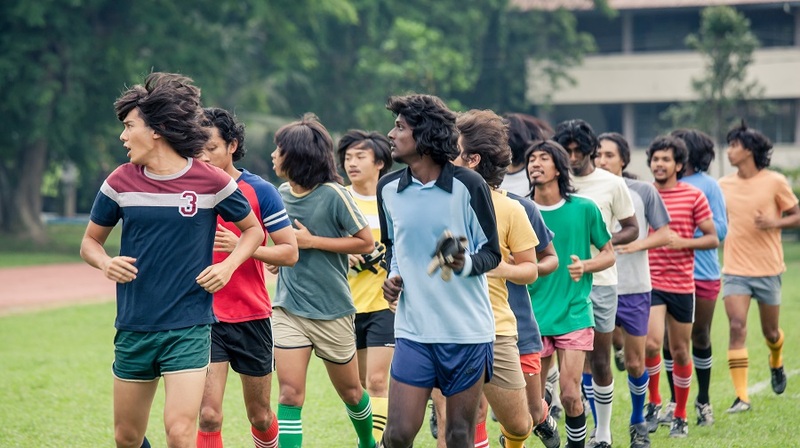 Based loosely on the true efforts of the Malaysian national football team which successfully qualified for the 1980 Summer Olympics, this movie highlights the rekindling of the Malaysian spirit. Hassan says: “The director shows a TV journalist who wants to leave the country, but in the end, she did not go. The film also shows how a sporting event can make us forget our differences and come together as Malaysians."